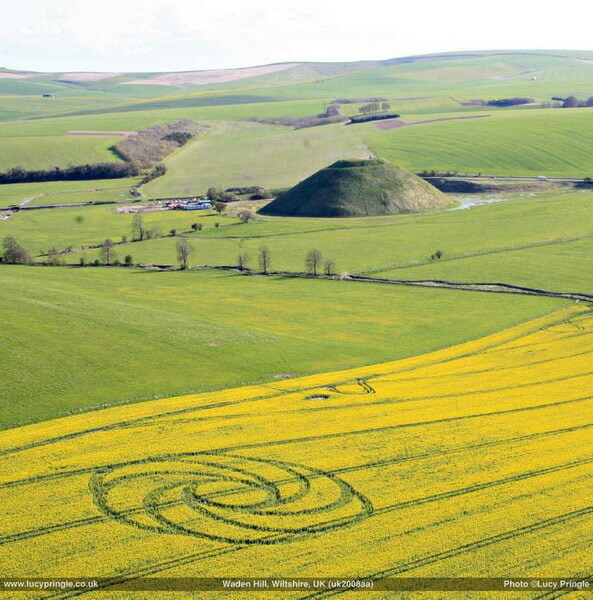 What is the meaning of the crop circles? 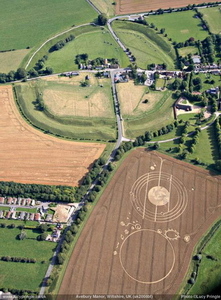 of the crop circles ? Intelligent beings unknown to modern man manifest « before our eyes » and call to us with insistence every year. It is a phenomenon that has never happened before in the (known) history of man, which reminds us of the phenomenon of the appearance of UFOs, also mysterious. 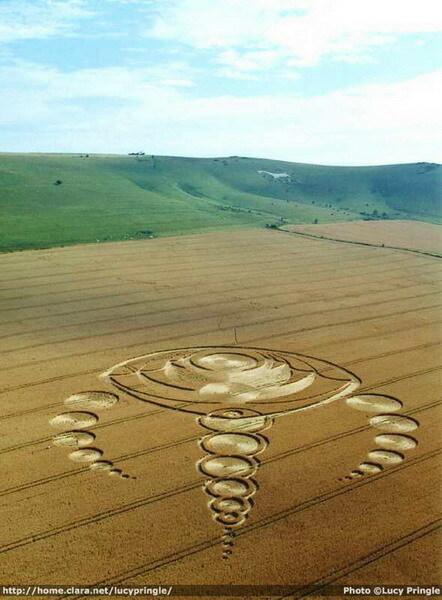 Here, it's about a phenomenon of a different nature because the crop circles are concrete, tangible realizations, that are permanent on a long period and made to be seen. 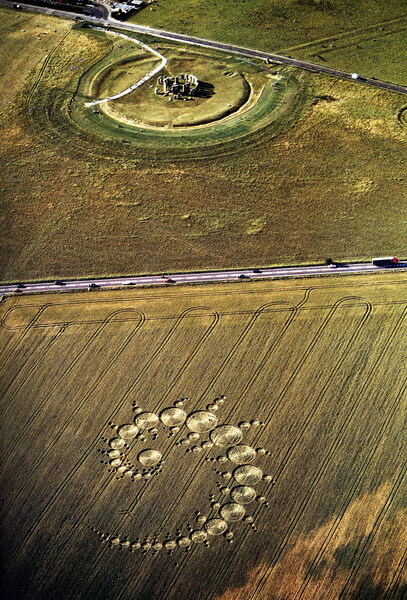 Because these messages in the fields address themselves to us humans, it is up to us to decrypt them and to identify their meaning, without waiting for them to become more explicit. Because if we accept the idea the elementals are the authors, we know that they do not have the capacity to communicate with us on the intellectual level, using our language for example. We must then try ourselves to receive their message at the heart level, in developing our intuition to supplement our mentality. 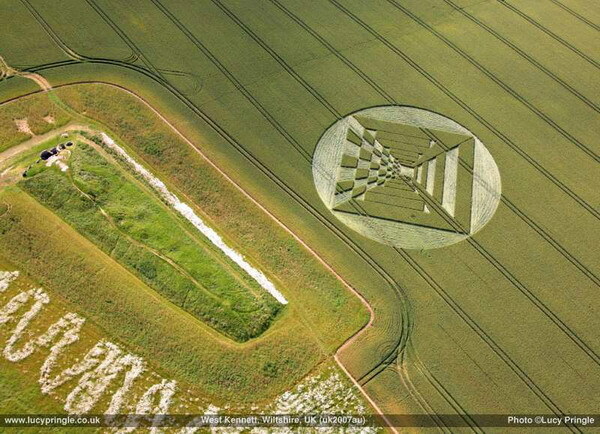 The laws of physics cannot actually explain the crop circles, even the luminous phenomena. These are then paranormal phenomena. For about thirty years their authors, the elementals multiply ostensibly these paranormal realizations in a great number of countries of the world (more than 80 ! ), more and more often near roads and towns, clearly in order that they be seen by the greatest number of people. It is evident that they seek to draw the attention of humans, they seek to contact them. The first underlying message is then : « we are here, we exist ! ». The elementals are intelligent spirits that are linked to the same planet Earth as we ! They have decided to remind us human beings, that we ignore their presence although they live very close to us. They are amongst us ! Beyond this first interpretation, we must understand that our world is not only material. We must become conscious of the existence and of the reality of this world of spirits, of the spiritual dimension of our world. We humans are not only our physical bodies : we must recognize our inner beings, the spiritual parts in us, and develop it. The elementals are the guardians of nature, they have the responsibility of surveying the growth of plants as well as the energetic balance of places all over the Earth. And we see very well today that men are destroying the Earth. In many regions of the world, the pollution has attained an intolerable level on the earth as in water and air. The earth overflows with pesticides, insecticides, and herbicides that are poisons of life. Accordingly, the water is more and more insalubrious even when it is declared drinkable. The air is affected not only by chemical pollutants but also by harmful electromagnetic rays that spread everywhere, due in particular to the multiple portable telephones and antenna relays. Mankind, blinded by their monstrous egocentrism, does not have any respect for the planet on which they live. They exploit it an irresponsible way. Until a few years ago, the Earth had conserved a natural power of regeneration, which was precisely expressing itself thanks to the invisible work of the beings of nature, thanks to the elemental beings whose role is indispensable in life. However, today the balance is interrupted, the elementals can no longer deal with these terrible polluting aggressions and accordingly, our conditions of life are degrading at high speed. 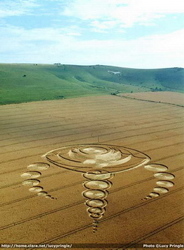 We can notice this coincidence between the fact that elementals of the earth have intensified their manifestations (by the realizations of crop circles) for thirty years and the fact that the phenomenon of pollution of the Earth has taken a catastrophic magnitude during the same period. We can also notice that air pollution (electromagnetic pollution in particular) is more recent, and clearly, the manifestation of the elementals linked to the air (the luminous phenomenon) is more recent, about a dozen years. The second underlying message is then : « Respect the Earth ! Respect nature ! ». It is an alert that nature addresses us, through the elemental beings in charge of her. We must understand that these alerting messages cannot be explained and must be understood « with the heart ». The elementals say to us : « we are here, think about us », and it's up to us to understand that they are in charge of the balance of the forces of nature, and that they can no longer correctly do their work, that they can no longer assume their role because of the devastating human actions. Several people who perceive elemental beings confirm this comprehension. Jean Pierre Martinez (23), geobiologist, affirms the elementals of the air with which he is more in contact, address their message to humankind because man is causing great damage in their world by electromagnetic pollution. We can understand indeed that these rays (telephone, antennas, Wi-Fi, etc.) create serious disturbances not only for us humans, but also for them because they are sensitive to the energies of places because they are in charge of their harmony, and they are very bothered by the negative energies of the electromagnetic rays that blur the environment. Yann Lipnick (24), another geobiologist who also perceives the beings of nature, sees the nymphs and elves as air spirits, while the gnomes are beings of the earth. He thinks the elementals want that we recognize them, that we know that they really exist, and at the same time they want to attract our attention to the fact that we are destroying Earth, that is also theirs. 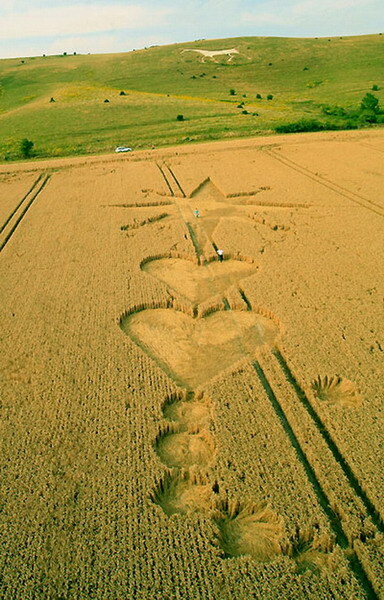 Another comprehension of the message of the crop circles is possible by studying the characteristics of the places where these realizations appear. If the phenomenon exists in a great number of countries, their localization is very dispersed in each of these countries. 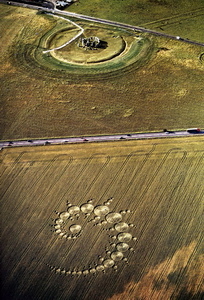 There are not privileged places, although it has often been observed that the crop circles are created near prehistoric sites or places considered as sacred. 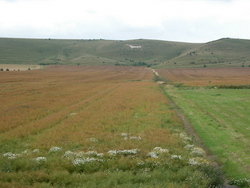 England distinguishes itself by the fact that the great majority of the formations are concentrated in the very limited zone of Wiltshire and its surroundings. This unique concentration in this country is necessarily significant, and we must decrypt its sense. either in the proximity of the ancient megalithic sites, such as Stonehenge (until the last few years) and especially Avebury (photos 1, 2 and 3). 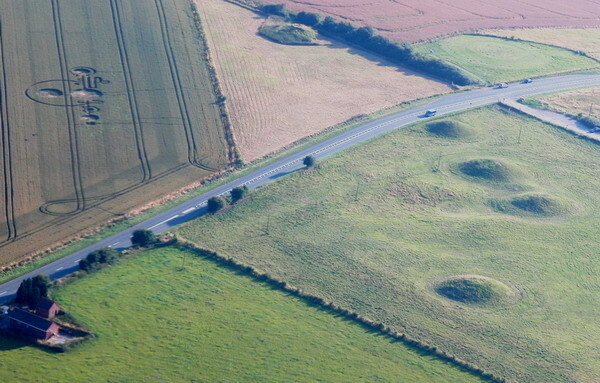 or near one of the very numerous tumuli (photos 4, 5 and 6). 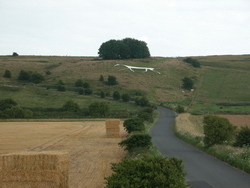 or near one of the « white horses » that adorn the countryside in the Wiltshire region (photos 7, 8 and 9). 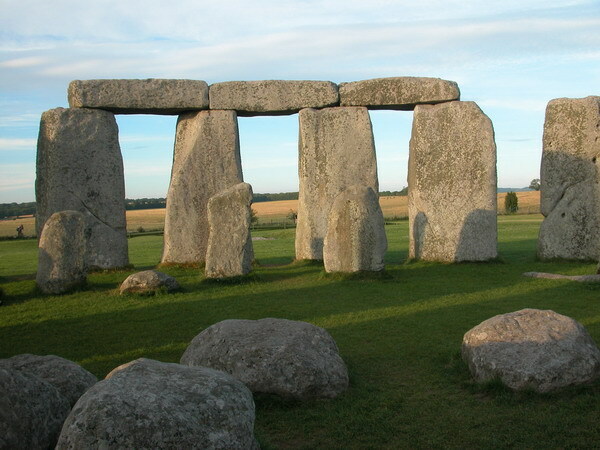 It is difficult to precisely date the age of the sacred temples of Stonehenge and Avebury, but the historians estimate the age to be at least 5500 years : they are then contemporaries of the first pyramids of Egypt. 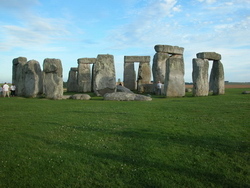 The disposition of the rocks at Stonehenge indicates that it was an astronomical observatory. 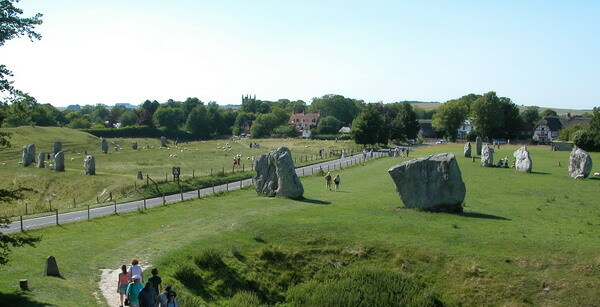 All the visitors of this site, but also all those who observed it in photographs, are impressed by the imposing dimensions of the giant rocks, around six meters high (they are deep-set in the ground), that is to say by their weight (about twenty tons for the heaviest, around six tons for the ones arranged in lintels) (photos 10, 11 and 12). The geologic study of the rocks showed that the heaviest have been extracted from a quarry situated more than twenty kilometres away, while the others have been pulled from a quarry situated in Wales, 220 km away. 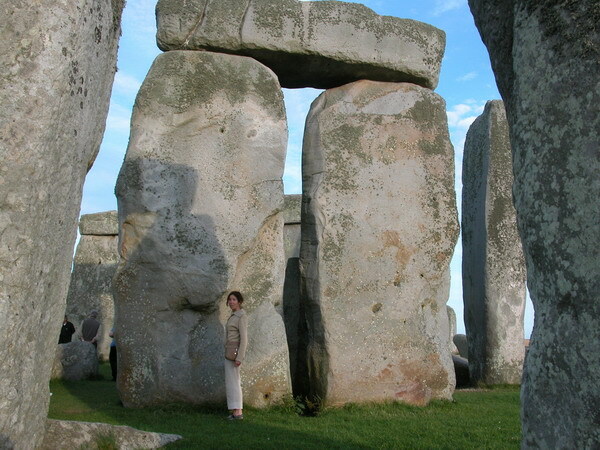 How then 5500 years ago, at the Neolithic period (that was the period of the polished rock and of the development of agriculture according to historians), ), was man able to carve, transport and erect such enormous rocks, and with what means ? 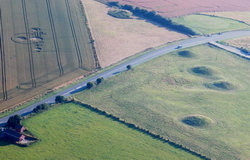 This question is also asked for the site of Avebury (photos 13 and 14), but the same question is asked for all of the very numerous megalithic sites of Europe (dolmens and menhirs) (photo 15), of Asia Minor (temples and pyramids) (photo 16) and Central America (photo 17) All of these constructions are very ancient and go back to « the dawn of time ». In France for example, the most imposing stone is the monolith of Locmariaquer in Brittany (that lies fragmented on the ground in three pieces), it is estimated at 280 tons ! It has, however, been extracted from a quarry situated a dozen kilometres from the actual place. In the Jupiter temple of Baalbek in Lebanon, the base is formed from rocks, which three of them have a weight estimated at 1000 tons, while the extraction quarry is situated 1 km from there. We must admit the « official » explanations of the historians, that involve cords, poles for the transportation, inclined land planes and muscular force of a great number of men, are not reasonable and are not believable. The wood poles would be crushed by the weight, without counting the obstacles from the relief between the quarries and the place of erection, and the number of men who could join their forces to lift and move the rocks would be limited by the available places around the rocks. On the other hand, the precision of the jointing of the lintels is excellent (photo 11), and testifies to a perfect mastering of the techniques of construction. We must recognize that the rudimentary means that poles and cords are, with only the muscular force of the men, does not permit explaining the construction of all these megaliths, and their origin is still today an enigma. 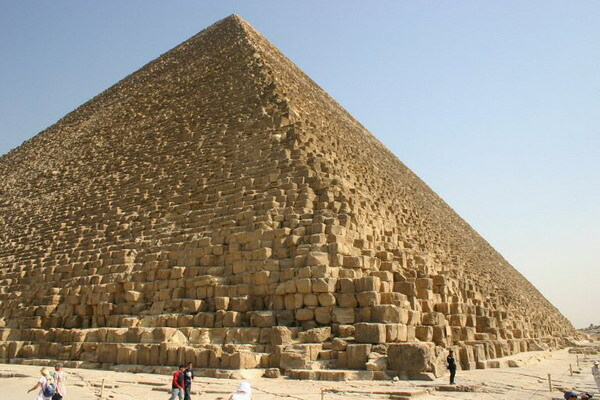 It is evident that these constructions imply that the builders had knowledge and had developed capacities that allowed them a mastering of the force of gravity, capacities that man has forgotten for a long time. Wiltshire region is characterized by the presence of a very great number of tumuli, that are artificial earthen risings, a few meter high, sometimes occupied by trees (photos 18 and 19). 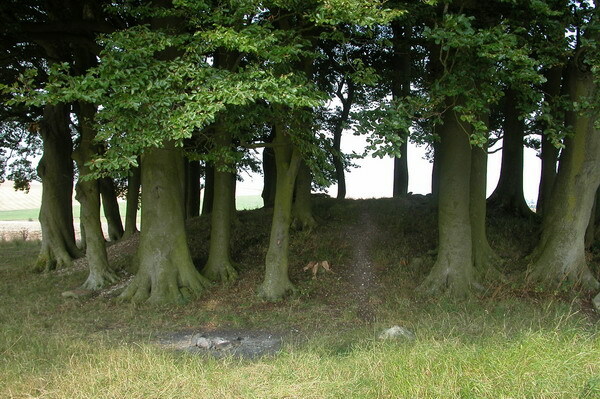 Archeological digs have shown that these are very ancient human graves, dating several thousands of years. 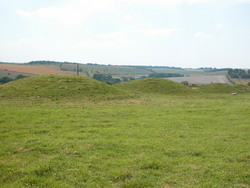 These tumuli were constructed by man to honour people considered important, after their death. Several tumuli distinguish themselves by their elongated form, contrary to the other that is circular. 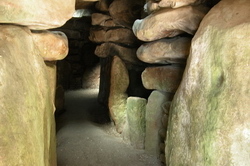 The West Kennett long barrow (photos 6 and 20) and Wayland Smithy long barrow possess an underground funeral chamber, constructed with huge rocks and their entrances are protected by the imposition of several monoliths. They seem to be the most ancients and date 3500 years BC. 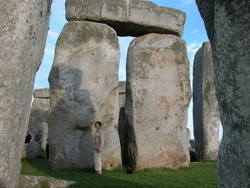 They are about 5500 years old and from the same period as the Stonehenge and Avebury sites. 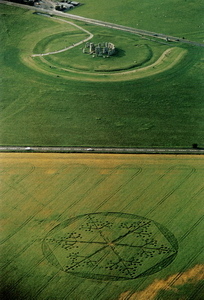 The West Kennett long barrow is an important « attractor » of crop circles every year. However, the gigantic and the most amazing tumulus is the one called « la colline Silbury » (photos 21 and 22). 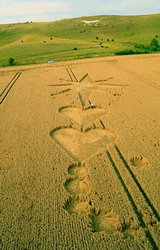 It is a real artificial hill, in cone form, at a height of forty meters. 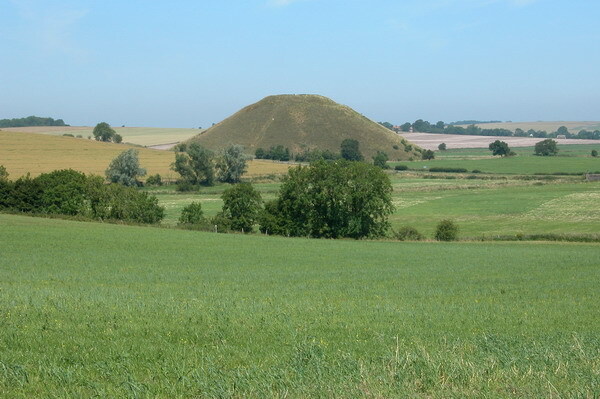 It is the highest tumulus in Europe, surpassed only by the great pyramids of Egypt. 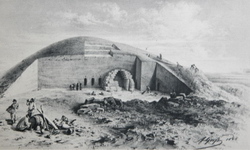 The digs have shown that it is in fact from a multilevel pyramid (like the first that were constructed in Egypt) which is now covered with soil. Moreover, its age is estimated at around 5000 years, that is to say that it is precisely contemporary to the first pyramids of Egypt and the sites of Stonehenge and Avebury. 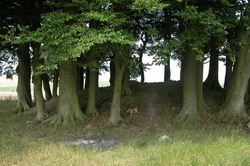 A legend tells that it represents the burial mound of a king buried with his horse. 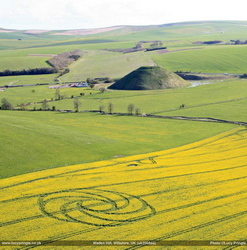 Silbury Hill, situated very close to Avebury, is also an important « attractor » of crop circles. This is a local tradition, specific to this region. 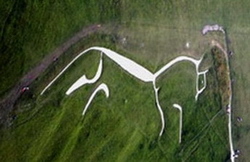 They have counted 10 white horses, that have been realized by man during a more or less ancient time, but only seven remain (three were destroyed in the 19th century) (photos 23, 24 and 25). 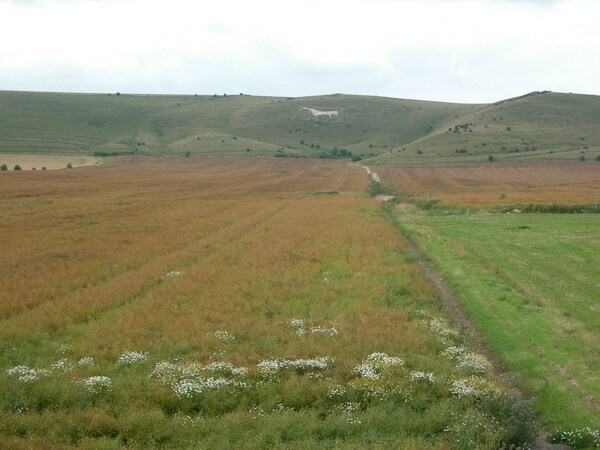 All the region of Wiltshire is characterized by a chalky ground. Thus, it is sufficient for creating these designs from pulling the superficial layer of grass in order to get to the bare soil that is white. These designs must be maintained when the grass again invades them. The majority have been made in the 18th and 19th centuries and have a figurative style. One of them, Uffington white horse, is much more ancient, its age being estimated at least 4000 years, perhaps 5000 years or more. This brings us back again to the period of construction of the megaliths and of the first barrows. 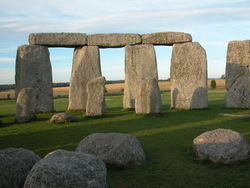 It measures 111 meters in length and is the only one in a stylized form (photo 26). 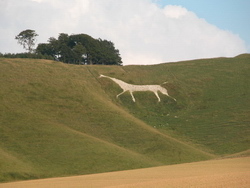 We can then consider that the white horses are a human tradition that began in this first very ancient design. 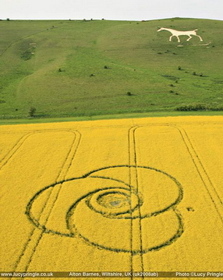 Every year, numerous crop circles appear not only in the immediate proximity of these white horses, but seem to head precisely towards them (photos 9, 27 and 28). This is necessarily carrying a meaning, and we must decrypt it : what do the white horses represent ? Why are the crop circles often pointing in the direction of these white horses ? 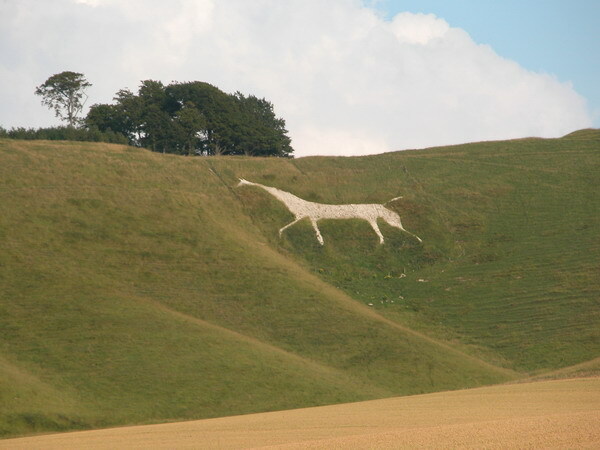 Thus, 5000 years ago, a people were living in this Wiltshire region that is distinguished by the erection of imposing megaliths, the construction of numerous and big barrows to honour their dead, and the representation in the ground of a very large horse. We can conclude that these people were highly developed. All these testimonies of their existence have survived to today but their meaning is still mysterious. 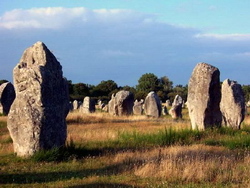 The very existence of the numerous megaliths in Wiltshire, but also in the world, reveals that their constructors clearly had knowledge and possessed an expertise that has long since been forgotten. That implies logically the existence of an ancient developed civilization that preceded ours. Yet the myth or the legend of the flood is present in all traditions and in all religions : a flood that destroyed all life on Earth, but in which a certain number of survivors have survived (Noah's Ark). In fact, more and more discoveries and testimonies of very diverse origins attest to the existence of a civilization that has preceded the flood (27-28). The Greek philosopher Plato, in 350 BC, left the first written testimony, previously transmitted orally until him : « There was once a powerful civilization on an island (Atlantis) situated beyond the columns of Hercules (the Straits of Gibraltar). Around 9500 years BC, following earthquakes and floods of an extraordinary violence, Atlantis was sunk in the sea and disappeared » . Atlantis is considered as a myth by official history, but it is part of the oral history of most of the American Indians such as the Mayas, Aztecs, Hopis, Navajos, Sioux, Cherokees, etc. (29). 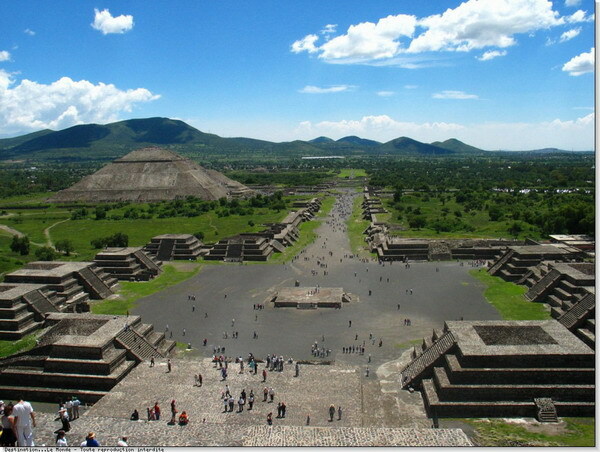 The Ancients of these tribes declare that their ancestors came from Atlantis, and they brought them their knowledge. Yet these are precisely their ancestors who have constructed the pyramids that we know in Central America. These testimonies indicate that the mysterious techniques of construction of these pyramids have their source in the Atlantean civilization. the other hand, by observing the description made by Plato of the Atlantean empire in Europe, it seems to correspond almost rigorously to the territorial implantations of the megaliths (30). This correspondence signifies again the very great probability that the Atlanteans constructed the megaliths. 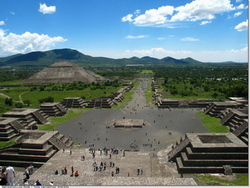 This observation is confirmed by several contemporary philosophers (31-32) that stated : while the Atlantean civilization brutally disappeared around 12000 years ago, the Atlantean migrations have brought the descendents of this civilization to gain foothold on our continent in Great Britain, before crossing to Europe (France, Germany, etc.) and migrating later towards the East, a few thousand years later, until Asia. In the 20th century, the construction of a great castle of rocks (of coral) by assembling blocks which certain ones weighed several tens of tons, by one man alone and without mechanical assistance, attests that this amazing mastering of gravity is indeed possible (34). This assembling had been done secretly and at night, but the builder was spied upon and « numerous testimonies told how he sang while placing his hands on rocks of coral, and one could see the blocks rise like balloons ! » . When interviewed about the end of his life, he admitted to detaining an ancient building secret : the influence of sound on gravity. « I discovered the secret of the pyramids, I found how the Egyptians and the ancient builders of Peru, of the Yucatán and Asia, with primitive tools, lifted and put in place blocks weighing several tons », he once declared. 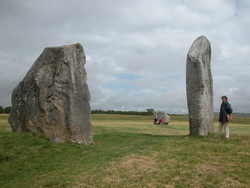 Whatever the unbelievable yet true aspects of this example, we can think that if this knowledge and know how were implemented in our era in a way completely exceptional by this man, this capacity is probably a survival of ancient knowledge that permitted the construction of the megaliths thousands of years ago. We propose then the idea that the proximity of many crop circles with the megalithic sites, the origin of which is considered mysterious but must be associated with Atlantis, indicates that the authors search, in fact, to remind us of the forgotten civilization of Atlantis. As well as pointing out to us, first their existence amongst us because we have forgotten them, they secondly point out, moreover, to testimonies of the Atlantean civilization, in order to remind us that this civilization preceded ours. Some relatively recent archeological research has updated amazing artistic treasures in a region of Asia. They come from a people who lived during the first millennium BC in the Caucasus, on the banks of the Black Sea : the Scythe people. 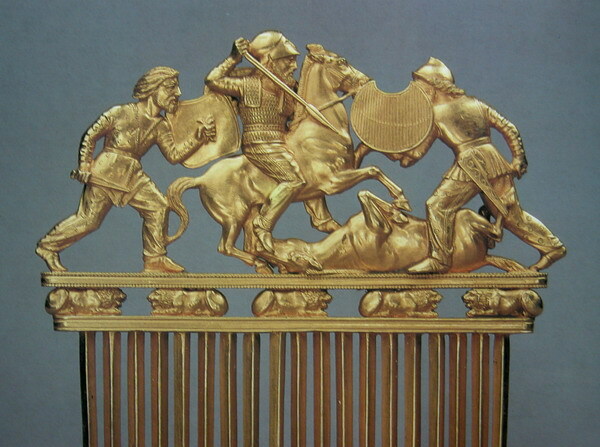 Herodotus, a Greek writer from the fifth century BC, consecrated a book to the Scythe people : a great civilization of nomadic herders, of intrepid riders who loved horses, weapons and gold (35-36). Their mode of life was such that this people did not leave any constructions in rock for posterity, but they distinguished themselves by the construction of a many great kurgans. The kurgans are ancient Scythe sepulchres that are in fact tumuli often of great dimensions (as big as 300 meters in diameter), that were covering the tombs of kings and important people, buried with many of objects destined to accompany them after their death (photo 29). 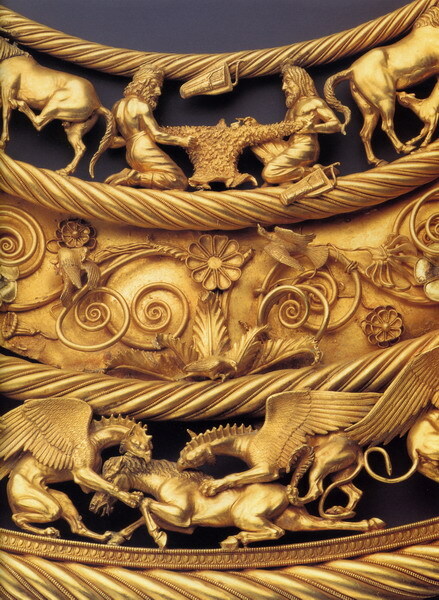 The archeologists have discovered that gold, silver, and bronze never has been used with such profusion on forms of finely wrought objects, mixed in with bones in these kurgans (36) (photos 30, 31 and 32). However, the major part of the sepulchres have been looted before the local power was able to control the digs, and all the stolen objects in gold have been melted to get their value in precious metal..
Nicolas Witsen, one of the first researchers, in a work published in 1692, asks the question of the authors of these marvels, and drafts the hypothesis of an unknown people with a cultural level infinitely superior to what followed thereafter. 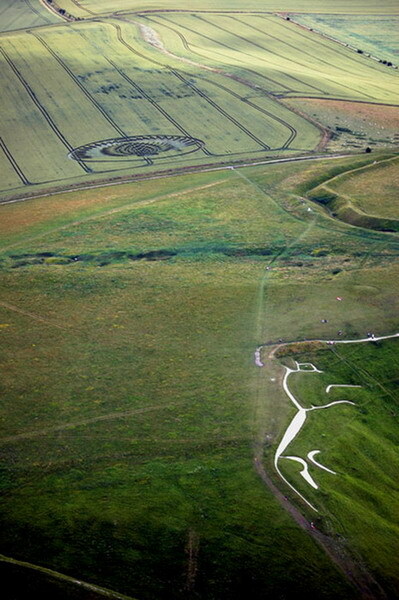 The origin of this scythe art, and therefore the people, is still considered as a mystery. We know the horse occupied a very great place for this scythe people at this period, since not only was it an indispensable means of travelling for the men who were living as nomads and who were launching horse raids against the other peoples, but a great number of horses have been buried in the graves of kings, as well as sacrificed soldiers. 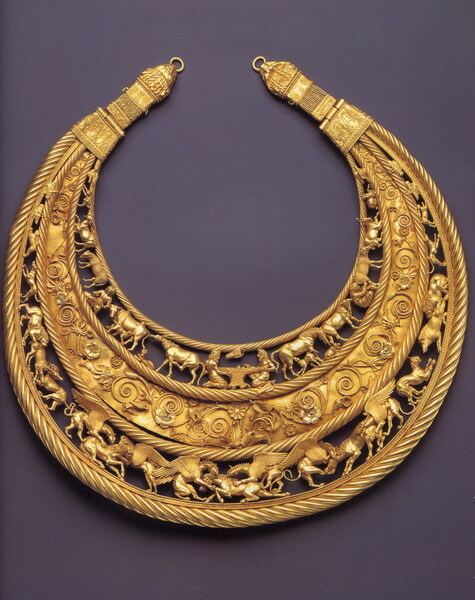 Some horse remains have been found in the funeral chambers, often trimmed with rich ornaments in gold, silver or bronze (34). 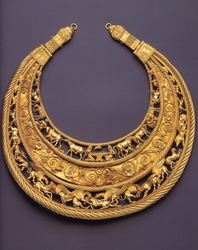 Crafted objects often represent this admiration and respect of horses. Thus, about 3000 years ago, a people were living in this region of Asia who distinguished themselves by the construction of very numerous kurgans (or tumuli) and by a very particular place made for horses. It proved, on the other hand, an amazing mastery of artistic techniques (that were lost thereafter), while also known as a fearsome warrior people. This leads us to think that these techniques were an inheritance of an anterior time. Yet we know today that the Scythe people were at the end of the migratory trail of the great post-Atlantean migrations (31-32). We can understand thus that they were in fact a distant descendent of the Atlanteans. We notice thus the analogy between first, the people who were living in Wiltshire 5000 years ago and second, the Scythe people present in Caucasus 3000 years ago : these two peoples distinguish themselves by numerous sepulchres in tumulus form, and by a particular place given to horses. They both found themselves on the post-Atlantean migration trail, the first having, of course, lived at a period anterior to the second. 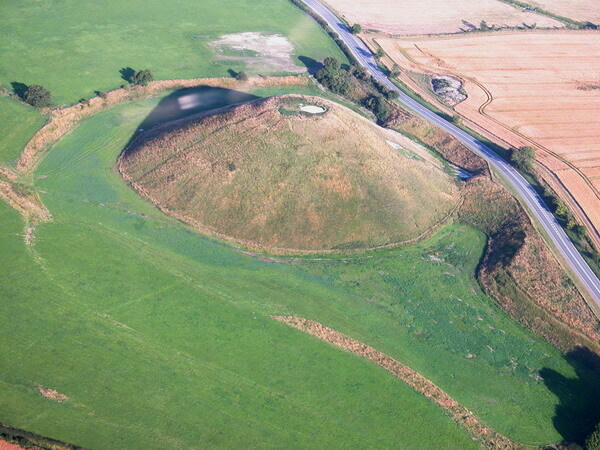 This connection allows us to understand that the tumuli and the particular place accorded to the horses were quite distinctive signs of people descending from Atlantis. 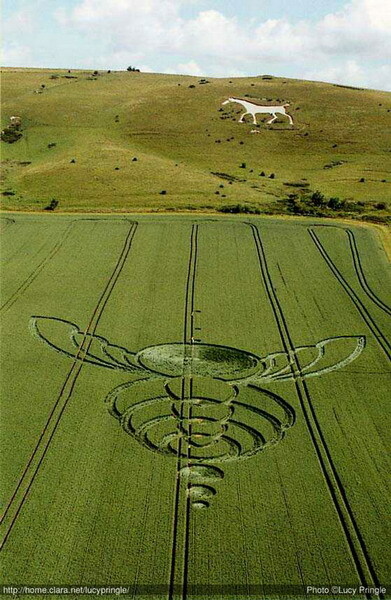 Thus, we propose the idea that the proximity of numerous crop circles in England with tumuli and white horses translates again the fact that in putting these sites in evidence, the authors seek to remind us of the forgotten civilization of Atlantis. We can now advance the hypothesis that the three metallic disks (in pure gold, pure silver and bronze), found buried in the ground under a crop circle in Grasdorf, Germany can be also attributed to descendents of Atlantis. 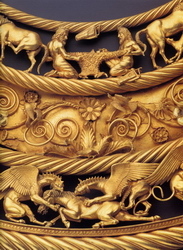 Even if the artistic quality is inferior to the observed on the Scythes’ objects, the fact of finding these objects in precious crafted metal in a place situated once again on the migration trail of the Atlantean descendents invites us to make this connection. Thus, in the this example again, the fact that these three disks have been put in evidence at the same time by the localization and by the motif of the crop circle, can be interpreted as saying that the authors were looking to remind us of the forgotten civilization of Atlantis. All the authors who have mentioned this civilization of Atlantis have indicated that, after a period of decadence and of interior wars, it disappeared around 12000 years ago following the sinking of the island in the depths of the Atlantic Ocean. However, why do they insist upon, for thirty years, manifesting themselves to us ? Each of us realizes that humanity actually lives in a very critical period where all the alarm signals have successively lit up. This is due to the inconsiderate exploitation of the natural resources of our planet at the exclusive profit of a small number of people and to the detriment of the majority of others, to serious violations to the ecological balance, to the very numerous disappearances of species of animals and plants from the fact of the irresponsible exploitation by mankind, to the economic and social inequalities ever more blatant in our societies and between the countries of the North and South, that are generators of incessant conflicts and wars, etc. Blinded by the technological development that gives the illusion of freedom, mankind does not have conscience that it is more and more a prisoner of the consumption society, a prisoner of the materialism, and that human beings are really in the process of destroying this planet. By this behaviour, humanity is really about to saw off the branch upon which he is sitting. All observers announce a period of great changes that seem imminent, and the next disappearance of the human species is part of these possible scenarios ! All these elements show that our civilization reaches now an unprecedented crisis... unprecedented in our known history, but the authors of the crop circles seem to do their best to alert us by reminding us that a similar tragic event has already existed in the past, that a civilization preceded ours, and it has indeed disappeared, consecutively with the troubles and with the interior dissensions that they did not know how to master. 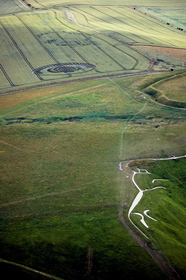 We can understand that the message of the crop circles, linked to their privileged localization in Wiltshire, England, is a warning addressing us against the real risk of the disappearance of our civilization, by reminding us of the precedent of Atlantis. on the one hand us that they exist, to arouse in us the existence of other subtle planes inhabited by other intelligent beings,. accordingly, to make us understand the necessity of respecting nature of which they are the guardians,. and on the other hand, to warn us against the real risk of the disappearance of our civilization, by reminding us of the precedent of Atlantis. 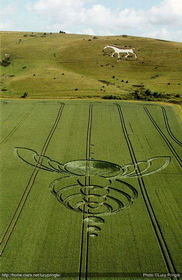 They manifest themselves to show us that we must choose between auto-destruction and the disappearance of the human species, or evolution by the awakening of the human conscience..
We have presented here an approach to the crop circle phenomenon that can only be partial. Other comprehensions are possible, for example by the symbolic study of the represented motifs and by the beneficial actions of the energies emitted for the Earth.